Lit Up host, Angela Breidenbach, talks with Linda S. Clare about Memoir Writing and how she used her own life story in both novel and memoir. 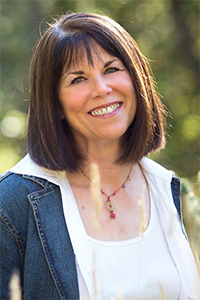 Linda has taught memoir writing at community college, in writing conferences, and has an upcoming track at the Mount Hermon Christian Conference co-teaching with Kay Marshall Strom. Listen to Lit Up with Angela Breidenbach and learn memoir writing tips that will help you sell your book or help you decide if this is for genealogical use or commercial readership. Lit Up with Angela Breidenbach Expand your imagination to enhance your life! Or, subscribe on Apple Podcasts (iTunes). About Linda: Linda Clare has been a freelance writer for more than 25 years. In addition to teaching writing, she coaches writers. Her blog, Linda Clare’s Writer’s Tips, focuses on providing weekly “writer’s tips you can actually use.” She is the award-winning author of six books and many articles, short stories, and essays. She coauthored a nonfiction book, Lost Boys and the Moms Who Love Them(Waterbrook, 2002) with Melody Carlson and Heather Harpham Kopp, wrote two nonfiction books with Kristen Johnson Ingram, and has published two novels, The Fence My Father Built (Abingdon 2009) and A Sky without Stars (Abingdon 2014). She lives in Eugene, Oregon, and is represented by Nick Harrison of Wordserve Literary. The Fence My Father Built (Abingdon Press) also in audiobook. A Sky Without Stars (Abingdon Press) also in audiobook. A Healing Heart (Abingdon Press) also in audiobook, hardback. The Art of Memoir by Mary Karr also in audiobook, hardback. About Lit Up host, Angela Breidenbach: Angela Breidenbach writes romance through the ages, teaches the business of writing, hosts the radio show Lit Up, and is in process of getting her genealogical studies degree. She’s the president of the Christian Authors Network. Angela lives in Missoula, MT with her hubby and Muse, a trained fe-lion, who can shake hands, lay down and roll over, and jump through a hoop. Surprisingly, Angela can also.